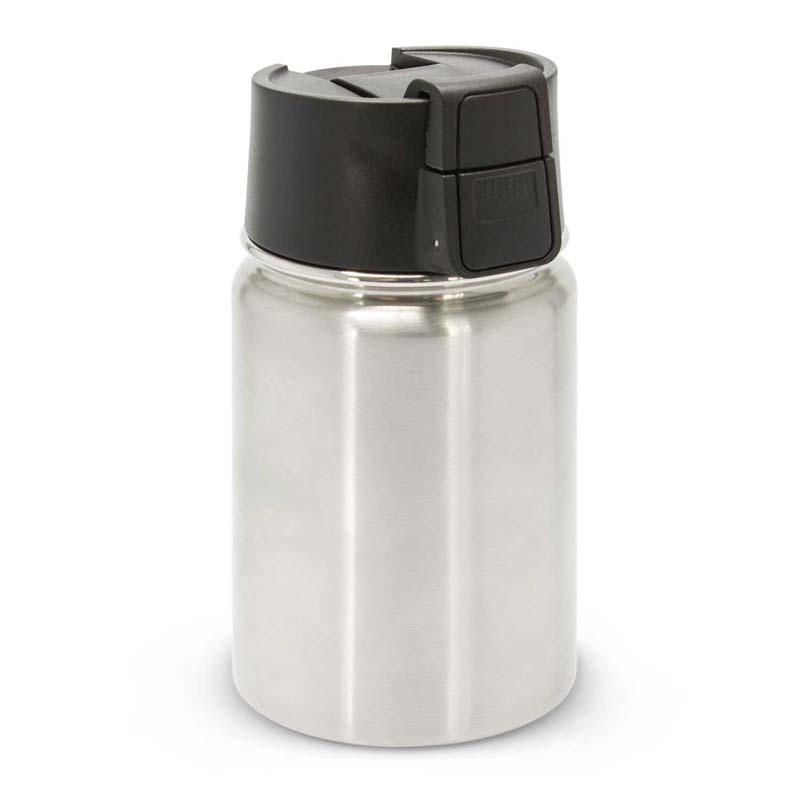 Compact 400ml double wall vacuum insulated stainless steel cup which will keep drinks hot for up to six hours. It is also ideal for taking soup and food to work or school. 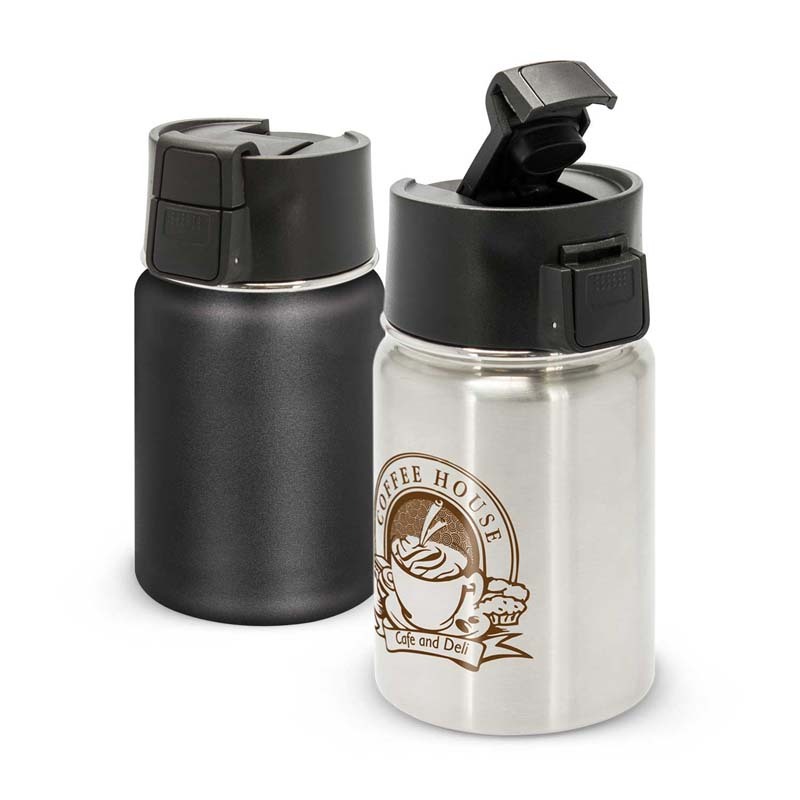 It features a secure screw on lid with a push button activated flip closure which is spring loaded for smooth, effortless operation. 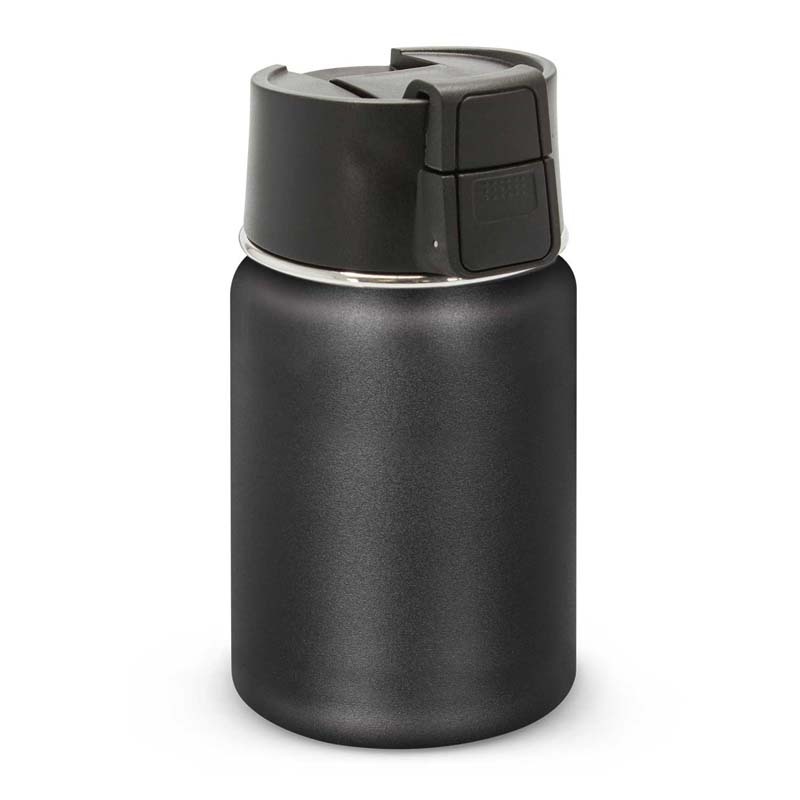 The lid prevents leaks and spills even if the cup is knocked over and Arc is so robust it can be carried in a bag or back pack. It laser engraves to a natural etch and is presented in a black gift box. Sizes Dia 65mm x H 138mm.